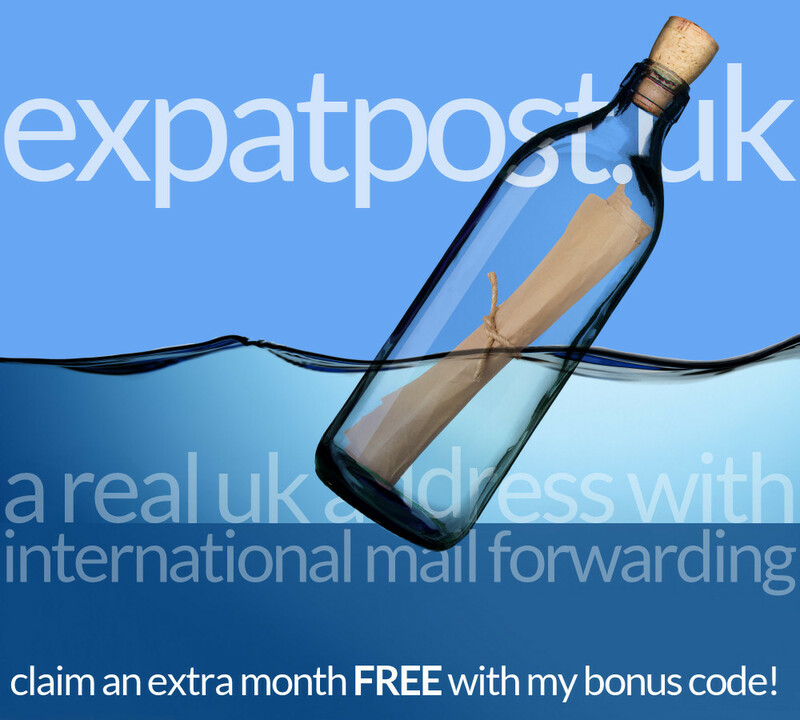 Refer a British expat friend to expatpost and we'll add a FREE month to both accounts. We know that many of our new sales result, directly or indirectly, from referrals. 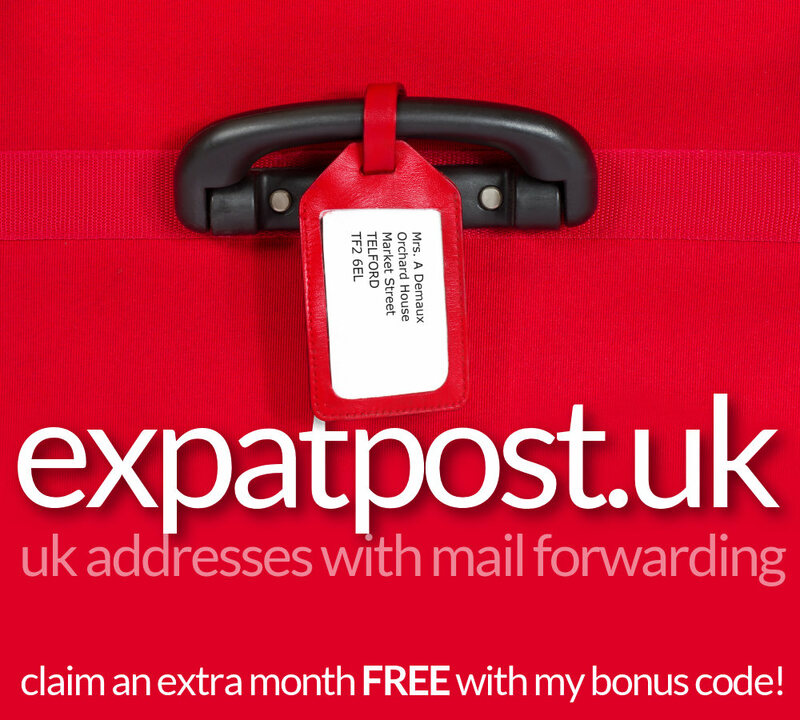 We'd like to reward you for spreading the word and letting other British expats know about expatpost, so this unique bonus is open to all customers, you don't even need to apply. we couldn't make it any simpler! In our Registration page, you'll see a box marked 'Bonus Code'. Whenever a new customer signs up for a 12 month account and types YOUR mailbox Key ( e.g. SA101, TF1992, KY162 ) into this box, another month is automatically added to your account. As an incentive for them to use the feature, we add an extra month to their account too! To help you, you'll find two specially designed graphics below ( we'll upload new images here every couple of months, so they don't become stale and boring! ) Please feel free to use them in your Twitter or Facebook profile, share with friends or followers, email to your contacts, or post in them in forums and blogs to promote your Key number and continue to earn bonus months. Right click the graphics below and 'save as' to use in your Social Media. How long will this offer last? It's permanent. Rewarding referrals in this way is, by far, the most cost effective promotional campaign we operate, keeping our costs down and our service prices so affordable. Does this bonus apply if my account has 'Expired'? Unfortunately not :o( Your account must still be active for bonus months to be added. But what if my account is 'Restricted'? That's no problem. Accounts are only 'restricted' because the Postage Fund is low, so bonus months will still be added. How many bonus months can I earn? There is no limit, we'd be delighted if you never had pay to renew your mailbox account again! Is publishing my mailbox Key secure? Yes of course! No-one can access your mailbox account without your password, so please keep it safe.